Snark Busters: All Revved Up was available as a giveaway on November 25, 2018! Snark Busters: All Revved Up tells the incredible story of Jack Blair, a world famous racecar driver who puts his career on hold to catch the Snark. Join Jack as he jumps between the real world and the inverted realms inside of mirrors in an attempt to catch his quarry. 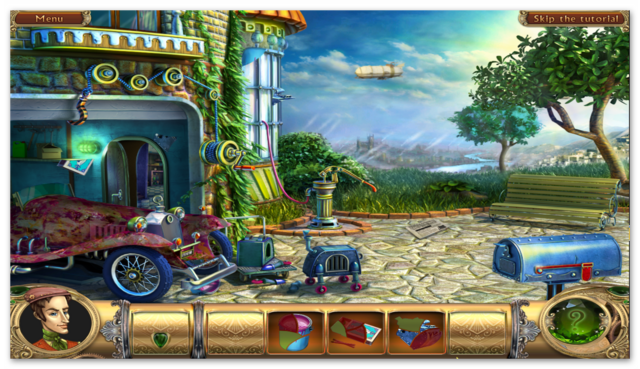 Solve whimsical puzzles, explore worlds of exquisite detail, and keep your eyes peeled for hundreds of cleverly Hidden Objects! How would you improve Snark Busters: All Revved Up? 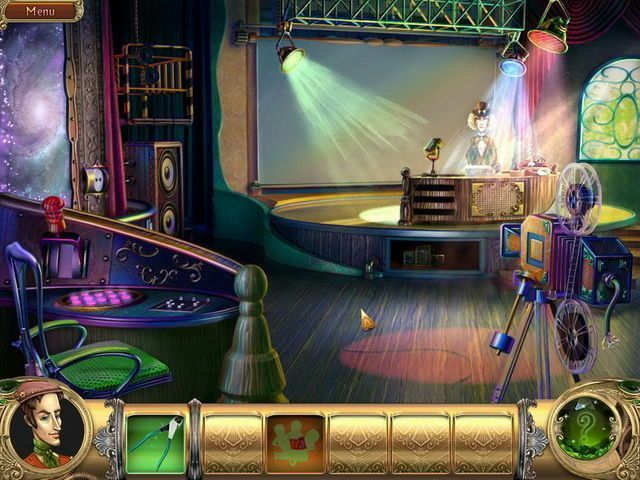 Snark Busters: All Revved Up is the second in the snark series and is a Hidden Object Game. 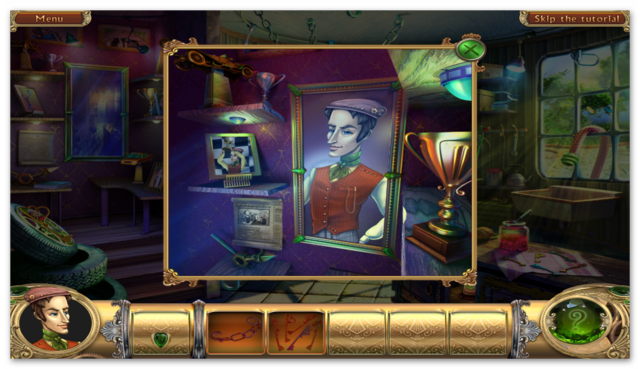 Help the racer Jack Blair in his pursuit of Snark in the part of breath-taking series of games about Snark! Are you ready to join the ravishing adventures that will transfer you to another reality with myriads of imaginary worlds? Here you appear in the era when the greatest inventions were made. The era of dirigibles and steam trains. The era of the greatest inventions and mystifications. So brace yourself for incredible adventures in the company of notorious Formula 0 champion Jack Blair, who has everything and now his dream is to catch Snark! 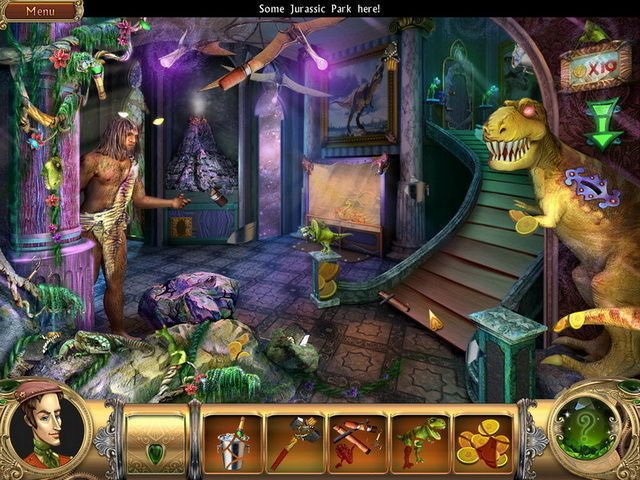 Lots of miraculous realms are open, where you’ll dive into mirrors and materialize in the prehistoric age to unfreeze mammoths and meet dinosaurs. 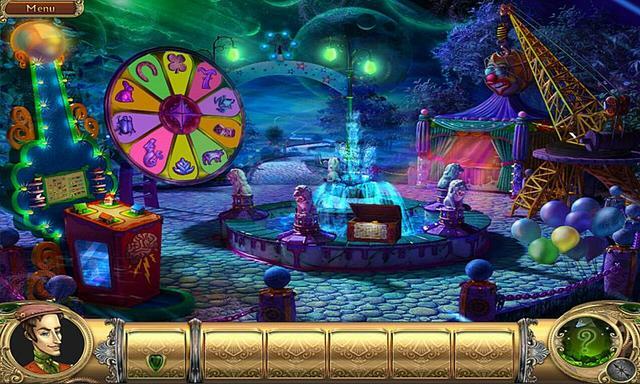 Look into another mirror and materialize at a mysterious fair with bizarre clowns and conjurers or fly in the steampunk dirigible! 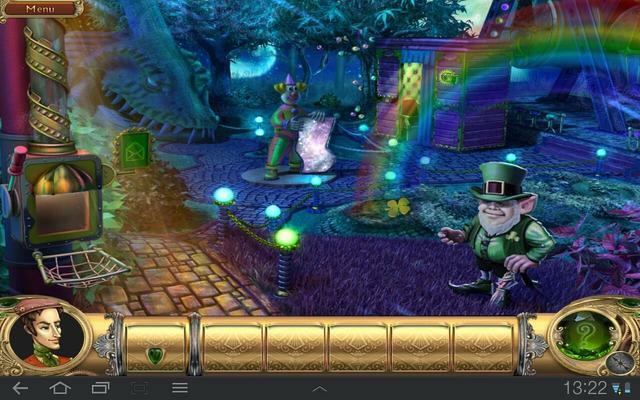 There are a lot of colourful hidden object scenes in the game Snark Busters: All Revved Up. Explore all of them to assist Jack and chase his dream of catching Snark. 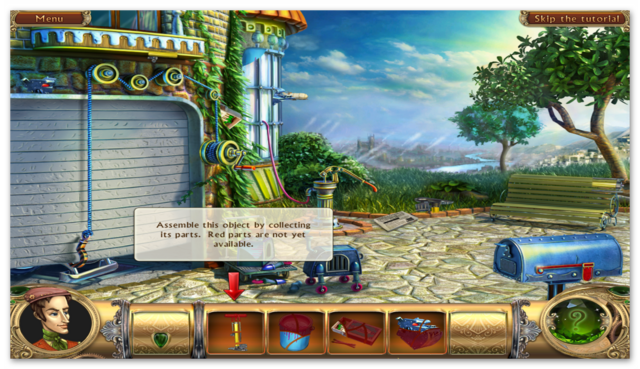 Solve mini-games and find parts of broken keys, unlock closed doors, repair torn electrical wires and even join Jack in inventing new devices. 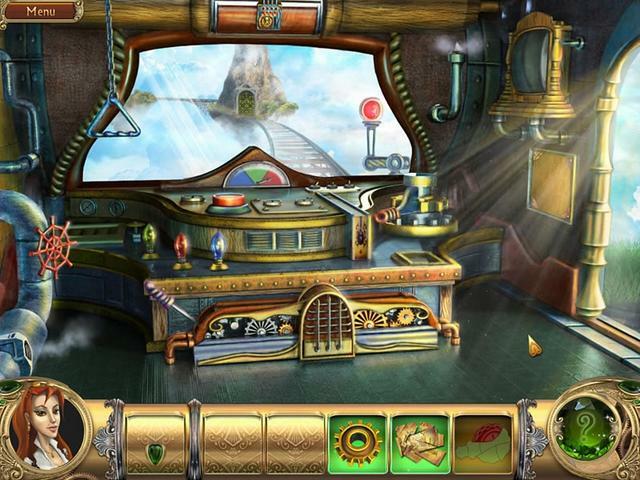 Explore his laboratory and help him find necessary tools. There are lots of theories of what Snark is? Some people think this monster symbolizes happiness and inspiration, that’s why there are so many people chasing it. 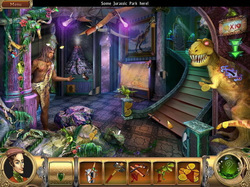 Snark Busters 2 relies on fragmented objects rather than conventional hidden object searches to drive the action forward. Veteran HOG lovers should feel at home, while new players will find the introductory tutorial easy to follow yet very thorough. The game is broken up into six different levels, each of which must be passed before you; that is, Jack can gain admittance to the Snark Busters club and the hot new race car they want you to drive. Each area begins with several fragmented objects that must be assembled and then put to use in various ways, with the ultimate goal of retrieving a special medallion that will open the portal to the next level. There are a few puzzles to solve along the way, including one or two particularly good brain-teasers, and some of the fragmented object searches can be quite challenging, but the game has a comprehensive help function that will keep things moving along at a good pace and that recharges quickly, too. Kira gets a mention in Snark Busters 2, which is a nice touch but also highlights the game’s one failing: it’s just not quite as wonderfully charming as its predecessor. Where Kira was a sly, lovable rogue in the first game, Jack Blair comes across as vacuous and arrogant in this one, and even worse isn’t nearly as interesting a character. It’s all played for laughs, but it lacks the self-deprecating appeal that made Kira so much fun. The absence of a sub-plot like the one involving her overprotective father is surprisingly noticeable, and the fact that we don’t come a single step closer to the Snark than we were at the start of Welcome to the Club is actually a bit disappointing. You can see several in-game videos of game play HERE, HERE (русский), HERE (Nederlands), HERE, HERE, HERE (日本人), HERE & HERE and a written walkthrough HERE plus a walkthrough strategy guide HERE. 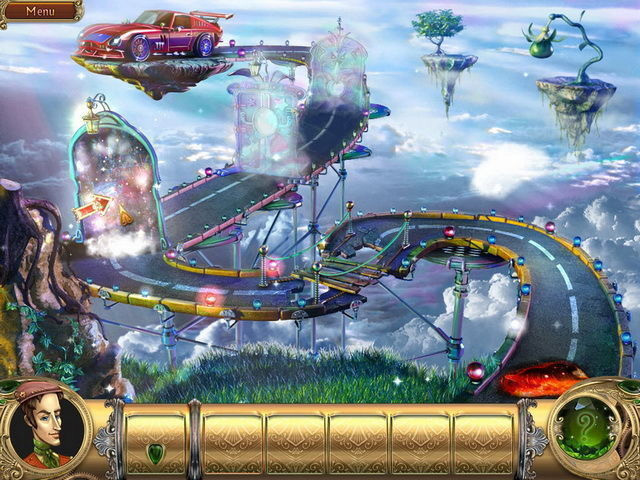 Snark Busters: All Revved Up has fun level designs and high-quality production values with a unique style, though the story is a little confusing. Not as good as the first in the series, but definitely still worth downloading. I reckon HOG fans will enjoy playing this. If you miss today's game giveaway you can always get the game via MyPlayCity 24/7 HERE; or, If you prefer to purchase the game you can get it HERE via Big Fish Games. 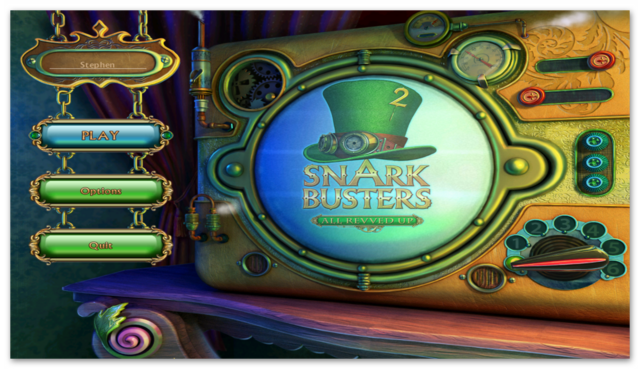 You can get all three Snark Busters games via Steam as a 6 in 1 bundle HERE that includes Snark Busters: Welcome to the Club, Snark Busters: High Society, Snark Busters: All Revved Up, House of 1000 Doors: Family Secrets Collector's Edition, House of 1000 Doors: Palm of Zoroaster Collector's Edition, House of 1000 Doors: Serpent Flame Collector's Edition. 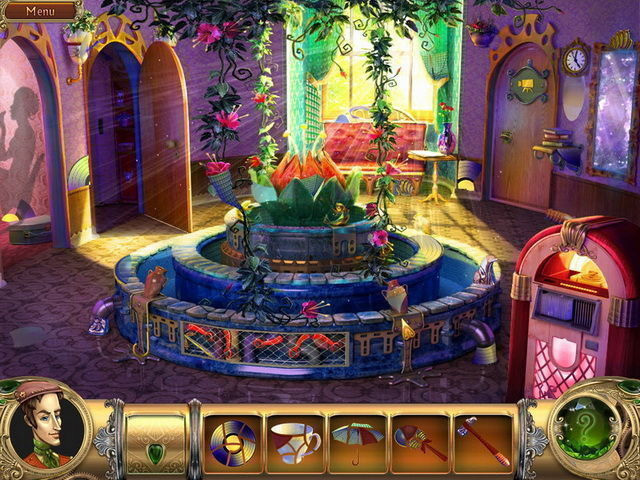 for only £2.24/$2.99, or there’s an even better HOG bundle HERE; called HOG Bundle of Bundles, that contains four bundles (Hidden Object 4-in-1 bundle, Hidden Object 5-in-1 bundle, Hidden Object 6-in-1 bundle). There is a total of 20/21 HOG’s (Snark Busters: Welcome to the Club, Snark Busters: High Society, Snark Busters: All Revved Up, House of 1000 Doors: Family Secrets Collector's Edition, House of 1000 Doors: Palm of Zoroaster Collector's Edition, House of 1000 Doors: Serpent Flame Collector's Edition, Behind the Reflection 2: Witch's Revenge, Mountain Crime: Requital, Vampire Saga: Pandora's Box, Weird Park: Broken Tune, Twisted Lands: Shadow Town, Stray Souls: A Dollhouse Story, House of 1,000 Doors: The Palm of Zoroaster, Dark Strokes: Sins of the Fathers, Eternal Journey: New Atlantis, Cruel Games: Red Riding Hood, Kronville: Stolen Dreams, Panopticon: Path of Reflections, Lake House: Children of Silence Collector's Edition, The Other Side: Tower of Souls, & Mexicana: Deadly Holiday). There’s actually 21 games, but one is repeated as a standard and collectors editions (House of 1,000 Doors: The Palm of Zoroaster) for a total cost of £6.08/$8.36 (80% off, saving over £24/$33). The Steam Autumn sale with over 14 thousand games on sale ends on the 27th November at 10am Pacific. If you're having problems installing or activating or getting Snark Busters: All Revved Up to work please visit the FAQ's Thread HERE and read through the communities comments because sometimes fixes have already been posted, for example, a common issue seen since the Themida wrapper was introduced three years ago is that some community members installation of the game are blocked by their security because Themida code has been known to hide malware, (usually an error message is flagged for example 'The executable is corrupted' even though in reality it is not); so as a precaution some anti malware programs will block and even delete the suspect installation files even though the files (i.e. the setup, read me and setup.gcd files are actually totally free from malware. This issue can be solved either by rebooting your computer in safe mode with networking or a quicker method is to temporarily turn off your security software to allow the installation. You could also try whitelisting the setup.gcd file. In the almost 12 years this game giveaway site has been operating there has 'never' been a game given away that was infected with malware. I'd like to take this opportunity to thank MyPlayCity for giving away Snark Busters: All Revved Up and also to the game giveaway team, as always, for securing other ways to get free games. If Snark Busters: All Revved Up doesn't interest you, but you still hanker for something new to play, you'll find details of some game deals whether they be sale items, indie bundles or games being given away for free HERE (I've not updated the thread in a while, but most of the links still take you to the latest deals). gets higher up in progress. Thanks for another great game and have a great week! Downloaded and installed without issue on WIn10x64. This will be a good find for those players who like HOGs but not the common horror genre. The graphics are good, decent storyline and the scenes are clear and easy to see. 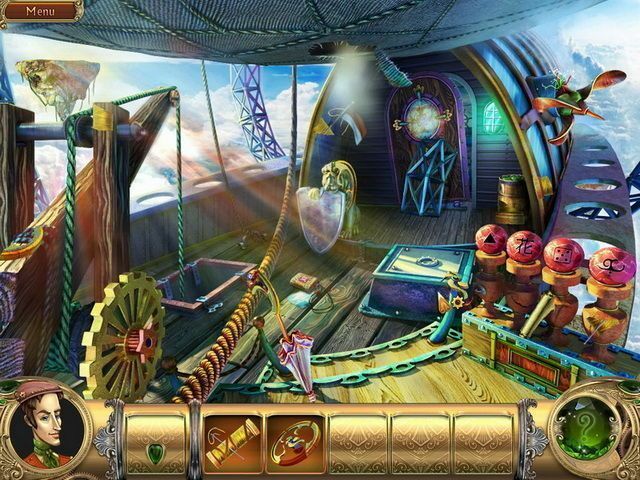 I've not gotten far into the game but it seems as opposed to straight-up find hidden objects, player must find pieces of various items and once all are obtained and put together, you use the item to complete a task. There may be different challenges further in but I do not have the time to continue on today. One last thing, I usually disregard the music, setting the volume very low however, this music here is rather pleasant and adds to the game environment. Thanks to MPC, BFG, GOTD and Stephen! Downloaded and installed without issue on WIn10x64. This will be a good find for those players who like HOGs but not the common horror genre. The graphics are good, decent storyline and the scenes are clear and easy to see. 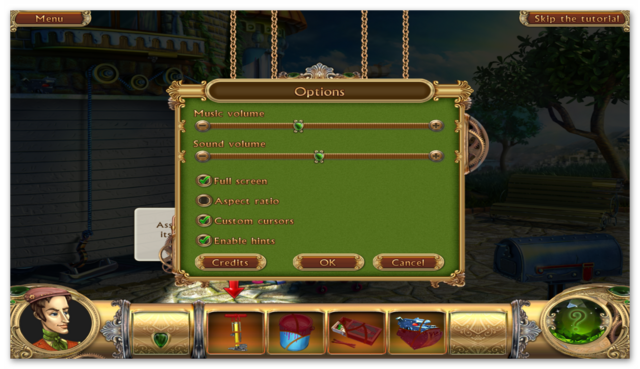 I've not gotten far into the game but it seems as opposed to straight-up find hidden objects, player must find pieces of various items and once all are obtained and put together, you use the item to complete a task. There may be different challenges further in but I do not have the time to continue on today. One last thing, I usually disregard the music, setting the volume very low however, this music here is rather pleasant and adds to the game environment. Thanks to MPC, BFG, GOTD and Stephen! Installed and ran fine on Windows 10 Home Edition 64 bit, ran in windowed mode and did not find it excessively hard to see, aside from the hidden pieces of course. They actually stand out a little bit and with hints you can find the rest if you have trouble. The hints appear very well done, not like some games where the hint depends on you finding something else first that the hint won't tell you about. I kind of like the steampunk motif, it's a change from most HOGS. These games are a step up from the usual HOG games. I believe there was a major bug in the third game (fixed later) that killed interest in the series so there's only three games. From what I gather this is an old Alawar game from back when they were still making and selling games. So there won't be any more in the series. These games are a step up from the usual HOG games. I believe there was a major bug in the third game (fixed later) that killed interest in the series so there's only three games. From what I gather this is an old Alawar game from back when they were still making and selling games. So there won't be any more in the series. There's also the HOG Bundle of Bundles (£6.08/$8.36), with 21 HOG titles (including the three Snark games, though one of the titles is repeated as a standard and CE version. I've linked to that bundle and also the 6 in 1 bundle you have mentioned above in my review. Most community members probably don't read my reviews, so I'll post the section about the HOG's here as well as I've listed all the titles. Hope this short and mostly positive review helps even though I'm not downloading today because I already had this after the first one in the series was offered here and got me hooked:). The whole Snark Busters franchise (so far I've found 3?) has many similarities that distinguish them from the more common HOG/adventure games. 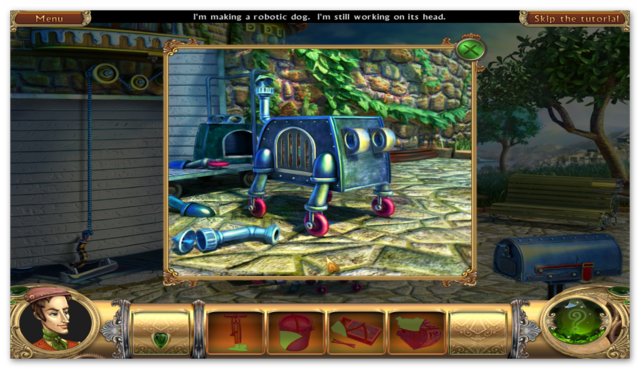 The HOG scenes are mostly pieces of objects that come together to create an object you then use to move the plot forward. Many scenes have a alternate reality twin where things are backwards or altered and you switch back and forth to reveal more pieces. While the stories in these are kinda silly, I do have to send kudos for the music which is catchy and pleasingly not intrusive. The games are a bit on the easy side with not a huge amount of challenge, and for the more difficult ones, the hints re-energize very quickly and are unlimited, I think; the lack of a map had me using hints to see where to go next more than I usually like. Overall, I enjoyed all three and recommend them, especially if you can get them cheaply are, as here, free! I enjoyed the differences from the usual, though I still prefer the more traditional HOG/adventure games when they are done well. Do give this one a try, or grab the first one (which I think was best) from MPC. Hope this short and mostly positive review helps even though I'm not downloading today because I already had this after the first one in the series was offered here and got me hooked:). The whole Snark Busters franchise (so far I've found 3?) has many similarities that distinguish them from the more common HOG/adventure games. The HOG scenes are mostly pieces of objects that come together to create an object you then use to move the plot forward. Many scenes have a alternate reality twin where things are backwards or altered and you switch back and forth to reveal more pieces. While the stories in these are kinda silly, I do have to send kudos for the music which is catchy and pleasingly not intrusive. The games are a bit on the easy side with not a huge amount of challenge, and for the more difficult ones, the hints re-energize very quickly and are unlimited, I think; the lack of a map had me using hints to see where to go next more than I usually like. Overall, I enjoyed all three and recommend them, especially if you can get them cheaply are, as here, free! I enjoyed the differences from the usual, though I still prefer the more traditional HOG/adventure games when they are done well. Do give this one a try, or grab the first one (which I think was best) from MPC.